I love putting people back in control of their money so let me help you. I am the advisor to whom other professionals come to for help and guidance. This blog was designed to give you an indication of the strategies and structures available to you to fund your reams and aspirations for a substantially self-funded retirement. I see so many people that just freeze and do nothing because of the complicated jargon and paperwork. I cut through the red tape and walk you through the processes step by step explaining in plain English (with an Irish accent) as we go. 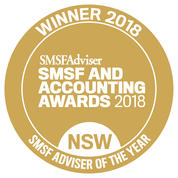 Who are the SMSF Coaches? Liam Shorte is known as “The SMSF Coach” and is a Financial Planner and SMSF Specialist Advisor™(on the right). He was named in Australia’s Top 50 Financial Advisers in 2017. With his business partner, Michael Rambaldini who is a Certified Financial Planner and also a SMSF accredited advisor and their support of a staff of 6, they run a successful advice business, Verante Financial Planning, in the Hills District and Hawkesbury Shire of Sydney looking after people who want to take back control of their finances and savings to allow them plan for the short, medium and long-term future. For more information visit www.verante.com.au or contact our Windsor or Castle Hill offices. We also do Sydney CBD meetings and Skype consultations. 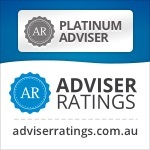 We believe that there is a solution to fit everyone’s needs in building and managing their wealth and while this blog is orientated towards SMSF solutions, we analyse each clients needs and objectives before recommending any solution and have no qualms about recommending alternate options for those who do not need or are not comfortable with a Self Managed Super Fund. in any of the platforms you can choose between 100% cash or 100% shares or property or anywhere in between to suit your risk tolerance and ambitions. the system is flexible to allow you to take on as much or as little administration yourself as you chose. The first step is to choose to take control of your finances and we at Verante are happy to show you the options available to you. Think it’s all too hard or embarrassed by past mistakes or choices – DON’T BE. Better to accept the past is the past and learn how to make the most of your options going forward. CONTACT US at our Castle Hill or Windsor offices or schedule a face to face or Skype meeting or phone call here to start the process. For a copy of our Financial Services Guide please visit our main website or call us.